I have just been back from a short trip in which I took advantage of many stores to which I usually do not have access. 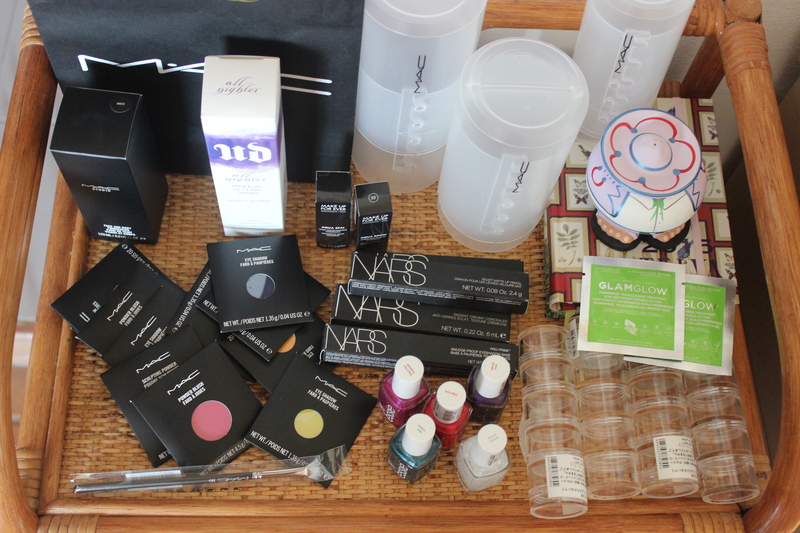 As you may guess from the picture above, I visited the MAC Pro store, Sephora, Muji and the airport duty free store. From MAC Pro store I got some products that I had been eyeing for a while: some eyeshadows, a couple blushes cannisters, sculpt powder, a brush, face and body in white and the fantastic brush canisters. At Sephora I got my first NARS products, my first setting spray, some Make Up For Ever products and got two samples of the loved/hated Glamglow masks. At Muji I got the stackable jars that I love to keep pigments in and at the duty free store I got the Essie polishes. Nice haul. Which Mac blush and eyeshadows did you get? I am going to feature them soon, but all of them were Pro products since in my country they are only available in Pro stores.